Tanya Donelly discusses her life in music, including her beginnings with Throwing Muses and the Breeders, and her major breakthrough with Belly, a band she’s currently enjoying a reunion with. Tanya Donelly began making music with her step-sister as a teenager. 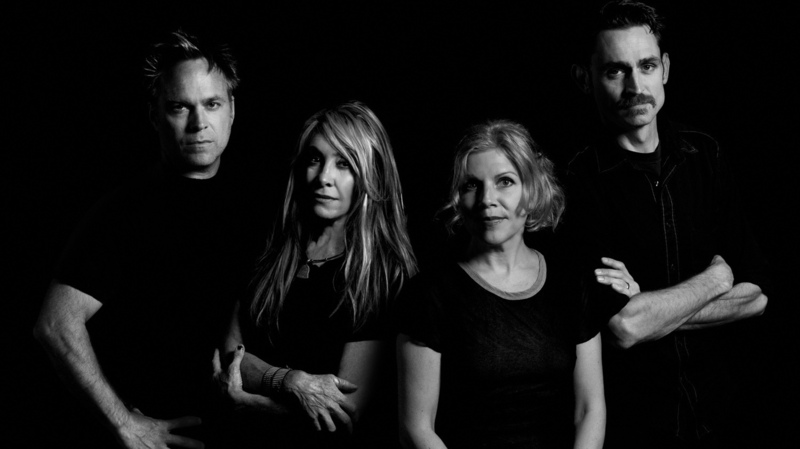 Her step-sister happens to be Kristin Hersh, and their collaboration turned into Throwing Muses, which was the first American band signed to the 4AD label, 1986. She played on the band’s first four albums, and left in 1991 to commit more time to the Breeders, a band she had formed with Pixies bassist Kim Deal. Donelly reveals that the Breeders and her next band, Belly enjoyed a strange intersection before Belly’s Star debut in 1993. Belly has several tour dates in October of 2018. Check their site for more info. Donelly also reveals a little bit about why not all of the members from the formative line-up appear in the video below. In conversation, Donelly touches upon everybody mentioned below, however, host Pat Healy erroneously identifies the movie Twister as something that stars actress Laura Dern. It’s really Helen Hunt. He regrets this error.